A judicial review concerning the final resting place of King Richard III has determined that the University of Leicester has the right to reinter the King's remains at Leicester Cathedral in England. Richard III, who ruled England from 1483 to 1485, died at the Battle of Bosworth Field and was buried in a hasty grave in Leicester. The exact location was lost to history until 2012, when archaeologists on the hunt for the king's bones excavated a parking lot and found the skeleton, its spine bent with scoliosis and skull marred by battle wounds. "I am absolutely delighted that the High Court has ruled that our exhumation license is valid," archaeologist Richard Buckley, who led the dig that made the discovery, said in a statement. "We may now make arrangements for the transfer of Richard III's remains from the University of Leicester to Leicester Cathedral where they may be reinterred with dignity and honor as befitting the last Plantagenet King of England." The Ministry of Justice Secretary Chris Grayling echoed that delight in a statement today, though said he is "frustrated and angry that the Plantagenet Alliance — a group with tenuous claims to being relatives of Richard III — have taken up so much time and public money." The Alliance, on their Facebook page today, responded to the decision: "We are naturally disappointed at the decision reached, but we are grateful to have had the opportunity to raise this nationally significant matter before the courts." The University's plan has long been to rebury Richard's bones in the Leicester Cathedral, and has released plans showing aspare raise tomb surrounded by stained-glass windows. But the Plantagenet Alliance and others disapproved. Many said they would like to see the King reburied in York, a town where he spent much of his life. 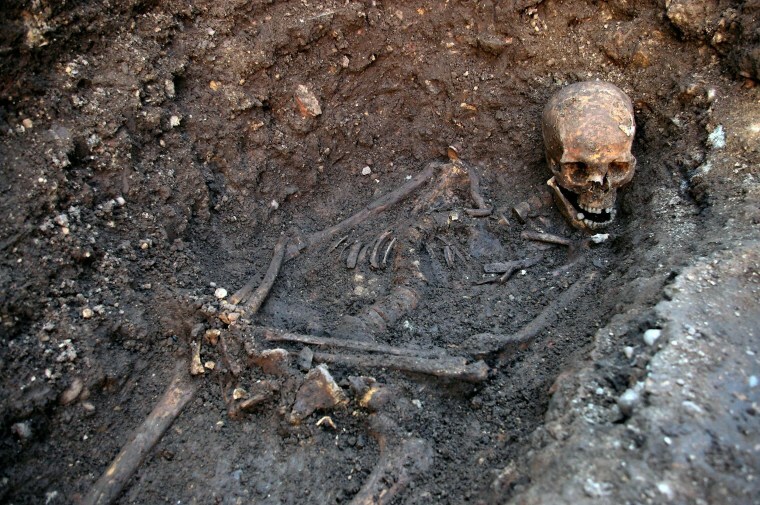 "We believe that such an interment was the desire of King Richard in life," the Alliance wrote in a statement explaining their "King Richard III Campaign." Richard III's posthumous fate raises passions, because the man himself has a bit of a cult following. Richard III enthusiasts, or Ricardians, are fascinated by the King and his reign and are often adamant about reclaiming him from the Shakespearian portrayal as a heartless, wicked villain. "When you read about what Richard did with his parliament and how he behaved in military matters, you find quite an extraordinary character," Wendy Moorhen, the deputy chair of the Richard III Society, told Live Science last year. Today's High Court decision comes after much debate. Hearings regarding the University's reburial rights began in March. Advocates for not burying the King in Leicester requested a public consultation with views from the royal family, churches and those who claim to be the king's relatives. Richard III left no direct descendants, though DNA from his bones matched DNA from living descendants along his maternal line. The King's genetic material is another source of controversy. The University of Leicester has announced plans to fully sequence Richard III's genome, which has some historians balking. "Her Majesty the Queen would not allow exhumation of other royal remains, or the testing of them," John Ashdown-Hill, an independent historian involved with the search for the bones, told Live Science in February. Editor's note: This story was updated at 10:10 a.m. Eastern time to correct the spelling of "Ricardians." Follow Stephanie Pappas on Twitter and Google+. Follow @livescience on Twitter, Facebook& Google+. Original article on Live Science.